What is the “Real” Truth about Agave? 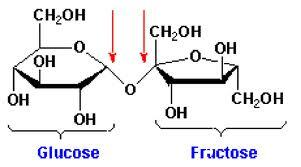 Fructose is the problem, agave is loaded with it. If you knew the truth about what’s really in it, you’d be dumping it down the drain — and that would certainly be bad for sales. Most agave “nectar” or agave “syrup” is nothing more than a laboratory-generated super-condensed fructose syrup, devoid of virtually all nutrient value, and offering you metabolic misfortune in its place. Unfortunately, masterful marketing has resulted in the astronomical popularity of agave syrup among people who believe they are doing their health a favor by avoiding refined sugars like high fructose corn syrup, and dangerous artificial sweeteners. And if you’re diabetic, you’ve been especially targeted and told this is simply the best thing for you since locally grown organic lettuce, that it’s “diabetic friendly,” has a “low glycemic index” and doesn’t spike your blood sugar. While agave syrup does have a low-glycemic index, so does antifreeze — that doesn’t mean it’s good for you. Most agave syrup has a higher fructose content than any commercial sweetener — ranging from 70 to 97 percent, depending on the brand, which is FAR HIGHER than high fructose corn syrup (HFCS), which averages 55 percent. This makes agave actually WORSE than HFCS.